Often recycling programs fail because no-one makes them a priority, however if senior management are seen to be actively involved in the new recycling program and taking it seriously, then everyone else in the organization is going to take recycling seriously too. Set organizational goals for the amount of waste you are going to divert from landfill and then communicate those goals to everyone. Have your diversion rate goal posted near the bins and on company noticeboards so everyone knows what they are working towards, people need to know what is expected of them so they can deliver. 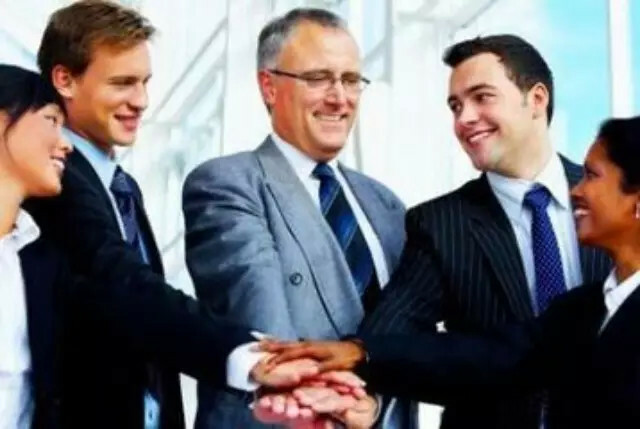 If the goals are being set by senior management and are given a priority in company communications, it encourages everyone is going to get on board with the program. A 2014 study by the National Restaurant Association sates that 59% of consumers choose a restaurant based on their sustainability practices. People like to feel good about their choices. Let customers know that you are serious about your program by branding your containers and promoting your program in-house and publicly on your social media channels. 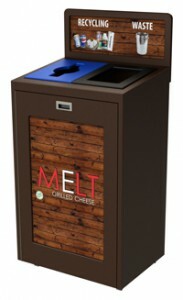 Customers are quick to praise retailers and restaurants via social media for having a good recycling program in place. 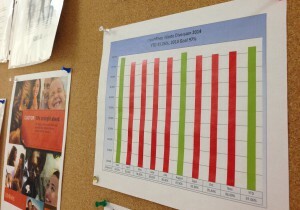 Employees like to feel that they work for a company that is doing the right thing, by communicating the program and your diversion results it helps motivate them to keep sorting their waste effectively. If your employees are motivated to participate in the recycling program it helps decrease recycling stream contamination and increase the amount of waste diverted from landfill. Make sure you dedicate time and resources to launching your new recycling program. This makes a huge difference to the impact of the program. Employees and/or customers need to know about the recycling program and where they go to recycle properly. Support a program launch with a communication plan – which could include posters, stickers and banners – to reinforce the message that people need to dispose of their waste correctly. At program launch, one of the most effective ways to communicate to people how to use the bins correctly is to ensure the bins are clearly marked with graphics to show where cans and bottles, organics, newsprint or waste should be tossed. When the Langley Events Centre in B.C. launched their zero waste program they trained all their staff on how to use the new zero waste stations properly so that they in turn could coach visitors on how to use the new stations effectively. They also conducted a public education campaign leading up to the launch through social media to promote the new zero waste program to fans and explain how to use the bins. Mini bins are very effective at changing the way people think about their waste. 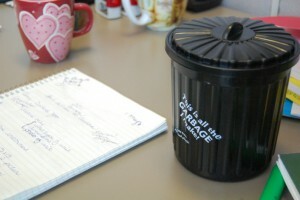 Replacing desk side waste cans with a desk top mini bin has a huge impact on recycling rates. The small size of the mini bin restricts the amount of waste the person can put in and so it forces them to really think about what they are throwing out and whether it could be recycled or composted instead. The mini-bin is a great way to start a culture change and empower people to make the right choice about how they discard the waste they generate. If you would like more information on the mini bin program or how to get your employees engaged in your recycling program call us today at 1-888-646-4246 or email us at solutions@cleanriver.com.